The American Traffic Services Association is hosting a webinar on March 5 starting at 1 p.m. EST entitled “Using Lessons from Abroad to Truly Support and Expand Multimodal Transportation” that features Pennsylvania Department of Transportation Secretary Leslie Richards, who serves as chair of American Association of State Highway and Transportation Officials Council on Active Transportation. The ATSSA webinar will focus on the planning, constructing, and maintaining needs of “truly” multimodal infrastructure, the group said, which requires “different thinking” in terms of “investing and incentivizing” support for alternative transport modes. “We are definitely seeing more productive relationships with more organized community groups around bicycle and pedestrian issues; some state-wide and some city-wide,” Richards explained in a phone interview with the AASHTO Journal, who also hosted an “Innovative Bicycle and Pedestrian Projects” webinar for AASHTO on Jan. 29. 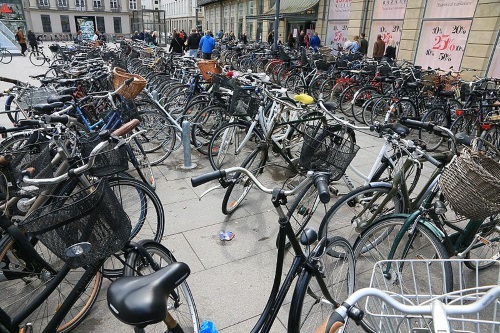 In ATSSA’s webinar, she will explain the importance of a “connected and accessible system” for bicyclists, including lessons she learned from a recent conference in Copenhagen, Denmark.